As part of China’s state-supported effort to become a player on the global soccer stage, Chinese investors have been making moves, such as buying shares in internationally renowned teams like AC Milan and shelling out insanely high transfer fees for global soccer superstars like Carlos Tevez. While the Chinese Super League couldn’t manage to get the world’s best in Lionel Messi (one team, Hebei China Fortune reportedly offered 500 million euros for the Barcelona star), they’ve settled for the next best thing. The Messi Experience Park, a theme park that allows visitors to “immerse themselves in the universe of Messi,” is set to open in Nanjing, China in early 2019. 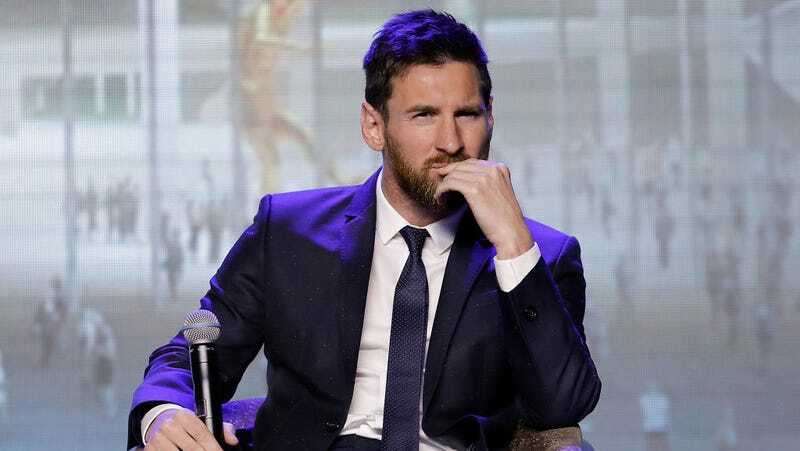 Messi was in Beijing yesterday to announce the launch of the park, which has been in development for two years, according to a press release from Grupo Mediapro, a Spanish marketing firm that’s partnering with the Chinese company Phoenix Group and Messi’s management agency on the project.